Enjoy the sunset with refreshing drinks in hand! Nobody wants to go home. It's so nice near the water, listening to the waves, and watching the sun go down. 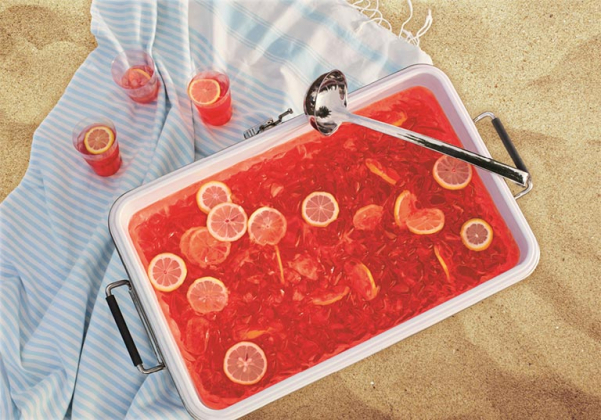 Get your Passoã on with a big cooler full of soft drinks and ice cubes for easy to make summer drinks!